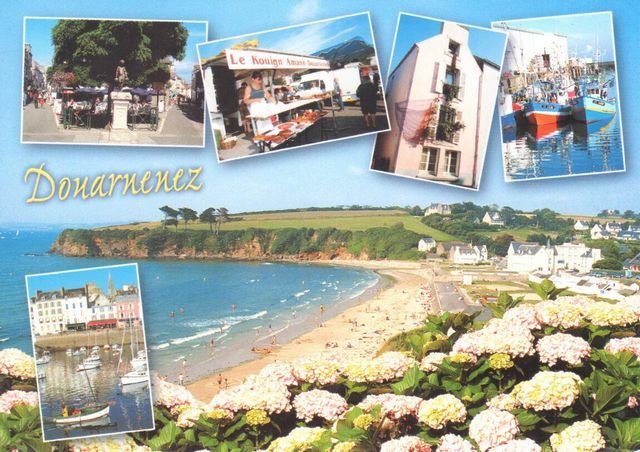 Douarnenez, is a commune in the Finistère department of Brittany in north-western France. It lies at the mouth of the Pouldavid estuary on the southern shore of Douarnenez Bay in the Atlantic Ocean, 25 kilometres (16 mi)(15 miles) north-west of Quimper.It still has fish canning facilities (sardines and mackerel) although sardine fishing, for which the town became famous, has fallen off in recent years. Increasingly, Douarnenez has become an attraction for tourists, not only in view of its pleasant location and warm climate but because of its marinas, its maritime museum, its regattas and its sandy beaches. The island of Tristan off Douarnenez has a mysterious past, linked as it is to the legend of Tristan and Iseult.